I had recently subscribed to Glambox.Me. 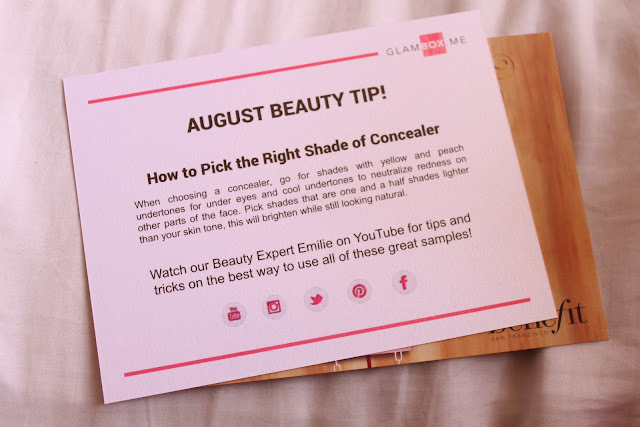 If it's your first time hearing about Glambox, basically subscribing to Glambox you will be receiving boxes every month according to your subscription plan. 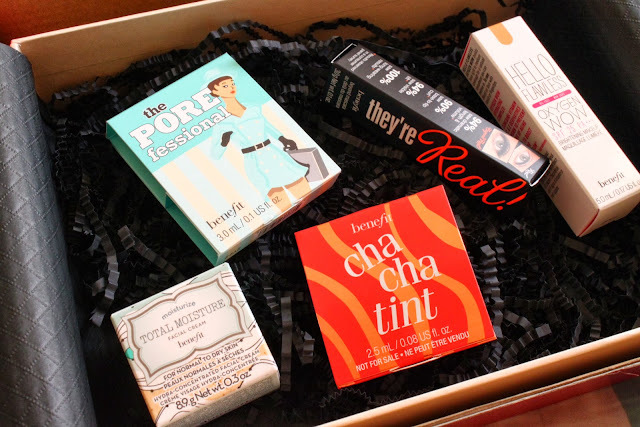 The boxes includes sample products from various lines for you to try. 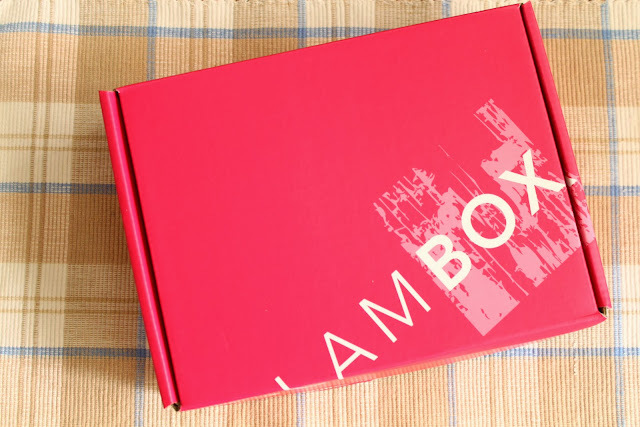 The concept of Glambox was absolutely nice because you can try products without buying the regular size which you might end up either liking it or not liking it and will be just a waste of money. 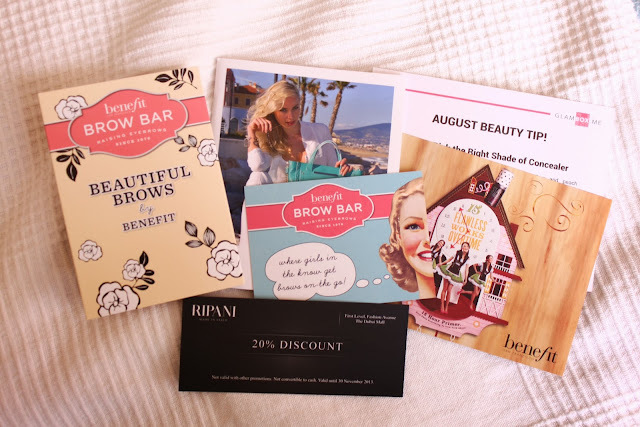 I was a bit hesitant in subscribing to Glambox because not brave enough and I'm scared in receiving products that I don't personally like but when I saw that the August box will have all products from Benefit I said okay I'm sold so I subscribed. 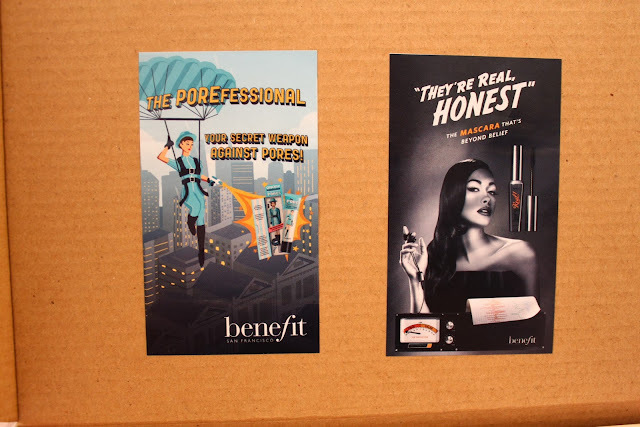 I love Benefit's products and was so interested in trying few more products from them. Although I have the mascara and the primer which is included in the box it doesn't stop me from subscribing. I'm very very excited in receiving the box. 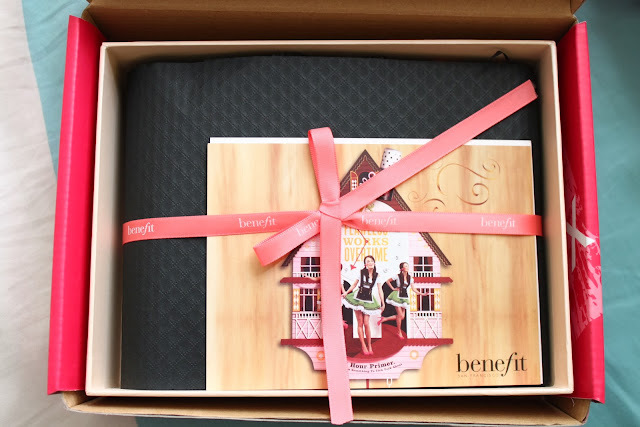 I received it last August 28 and when I got home from work I opened the box and explore the products right away. I feel like a kid who received a gift from Santa on Christmas day. The Porefessional which is a primer that minimized the appearance of large pores and fine lines. It's Oil free and contains Vitamin E. I already tried and tested this one and I use it whenever I feel like I need to cover some of my pores specially if you have oily skin your pores are just there and will never leave you unless you use products that minimizes your pores. Chachatint which is a mango tinted cheek and lip stain. I love the color of this tint. I was eyeing this product for so long but I feel that stain products for your cheeks are really hard to work with. sometimes it leaves streaks of brushes on your cheeks do if you're not used to using this you might do it wrong. I suggest you put it on your finger tips and blend it on your cheeks slowly building up the colors. Never use it directly on your cheeks or it will leave a brush streak and it will be very painful when that happens. Hello Flawless Oxygen Wow it's a Oil free brightening liquid foundation with SPF 25. I'm really surprised to like this foundation. I'm very picky when it comes to foundation and I never tried Benefit's foundation before. This really brightens your skin without any shimmer at all. This is the product that I will seriously repurchased after finishing the sample. The shade was perfect for me and really matches my neck perfectly you will never notice that I'm wearing a foundation at all. I felt like this will be my HG foundation as long as this will exist in the world. They're real Mascara claims to be a long-wearing mascara. When this was released it was massively talked about in beauty world. I bought this one and I can say that this is a very nice mascara as long as you're not irritated with the plastic brush. I prefer the regular brush than the plastics because it hurts my eye specially when you put the brush close to your lids when applying the mascara, it really bothers me. But the formula of this mascara is great. It won't smudge and will stay for a long time and really lengthens and add volume to your lashes. B. Right Total Mouisture is a facial cream that claims to provide long-term hydration. This product is a no go for me because I have combination to oily skin but this time it's more on the oilier side than being on the combination. Also I don't like the scent it's too strong for me. This might work more for people who have dry skin. That's it guys! If you're subscribed to Glambox like me... what's your favorite item?